A great way to catch bass in the summer is targeting the bluegill spawn. The time is right when the water is warm and the moon is full or new. Fishing for blue gill is fun too. I love catching bluegill, but you can also catch big bass that are feeding on those spawning bluegill. Bluegill spawn in warm, shallow muddy-looking flat bays. My favorite way to fish the bluegill spawn is topwater, moving down the bank quickly. But if there is a lot of cover, try a swim jig. I like the Strike King Hack Attack Heavy Cover Swim Jig with a Rage Craw trailer. It runs shallow and looks a lot like a blue gill. 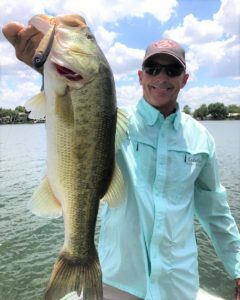 You might move your rod a little to put inflection in the bait, but basically just reeling it in works well. 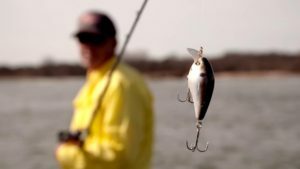 If fish are not chasing topwater or swim jigs, try an Ocho rigged whacky style pitched up in shallow water. You can catch some really big fish during the bluegill spawn. 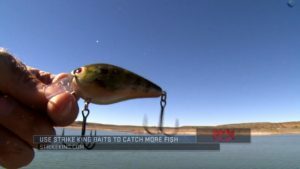 covering a lot of water and using the right baits.